Deputy Chairman of the Bahamas Technical and Vocational Institute (BTVI), Peter Whitehead recently made good on his promise to donate an Apple computer to the institution. The Apple iMac computer is to be used in further improving and maintaining the institution’s brand by way of desktop publishing. Mr. Whithead has been a board member for the past six years and believes proper use of the Apple iMac will go a long way in enhancing and promoting BTVI’s product. “BTVI is a remarkable institution that’s working actively towards preparing its students for the future. With this donation, I hope to help keep BTVI up to date with the ever-changing technological industry,” said Mr. Whitehead. 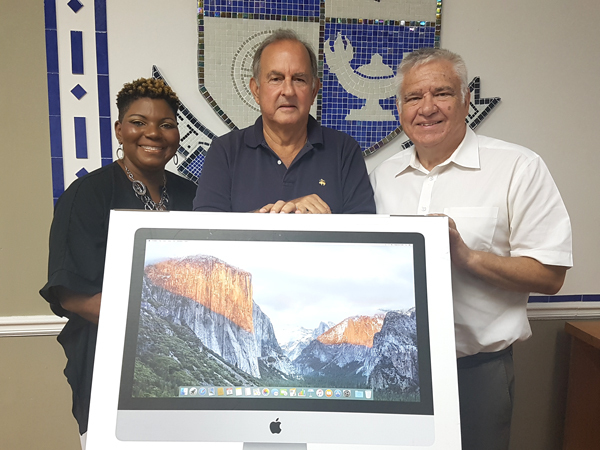 As a part of this donation, Mr. Whitehead also pledged to support the training of the recipient of the iMac to ensure that the individual takes full advantage of all its features. BTVI’s Associate Vice President of Fund Development, Alicia Thompson expressed thanks for Mr. Whitehead’s investment in the institution and is excited to utilize the new technology. “This underscores the importance of public-private donations to help BTVI operate more efficiently and effectively. We are truly happy to have persons like Mr. Whitehead on board to support our vision. 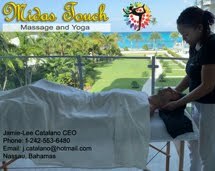 We hope this donation sparks the beginning of extended support and investment in BTVI from industry,” said Ms. Thompson. BTVI President, Dr. Robert W. Robertson noted that the donation will further build and maintain the institution’s image.